To this day, I’m in the process of starting a 501(c) and own a NYC start-up production business. Thank you from the bottom of my heart for teaching me how to grow both personally and professionally. You were more than just an attorney. You were a miracle man, instrumental figure, attorney, mentor and friend. For that I’m grateful! 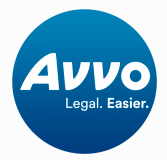 more reviews about Peter Lederman on AVVO. Posted in Testimonials and tagged dwi attorney, Peter Lederman, testimonial.